“That would be stupid,” I said and played several hours in the Hissing Wastes and the Emprise du Lion just to get that one Superb Fire Rune. 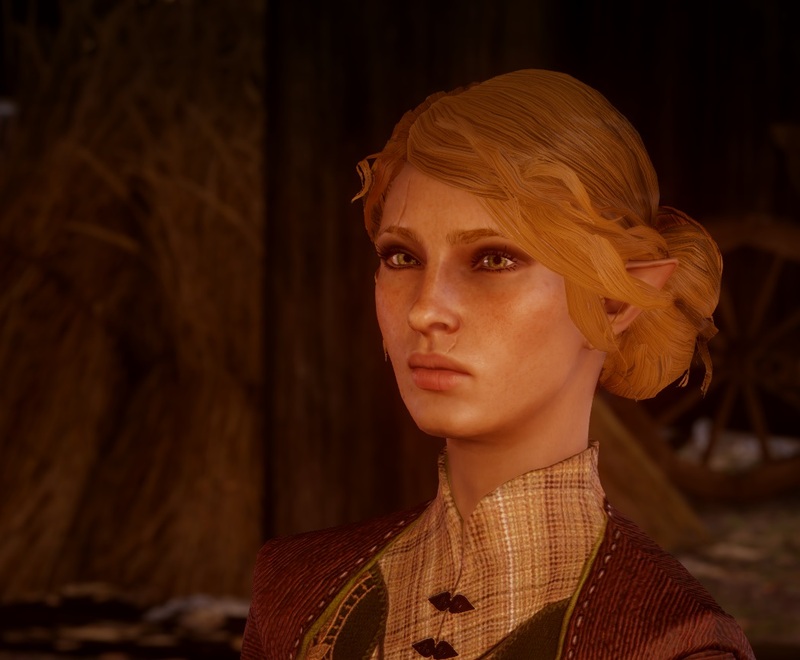 “Ridiculous,” I said after I gave Lyssa a new “post-breakup” look (that is compatible with Trespasser). And off I was, starting Jaws of Hakkon… and after a big “UGH”, went back after all to get that stupid egghead. I really am in Solavellan hell, it seems. 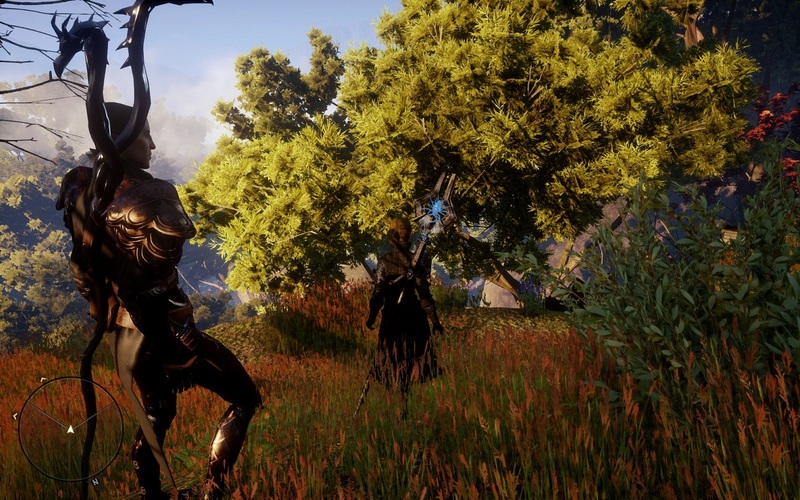 But, to be quite honest, it wasn’t just to have him there for his remarks and some banter I hadn’t heard before (I love the remark about the breakup from Cole and the chess game with Iron Bull), it was also because I reeeeeeeeally really love the romance scenes one can have in Skyhold – the kisses with Sera, Cullen, Josie. (Remember, I have the MRM, the multi-romance mod installed because why not.) They’re so short but adorable and I love them. And they are no longer available after the fight with Corypheus and it really annoyed me. So, ten hours in the trash, but I have Solas in my company for Jaws of Hakkon. And, what can I say – I love it so far. 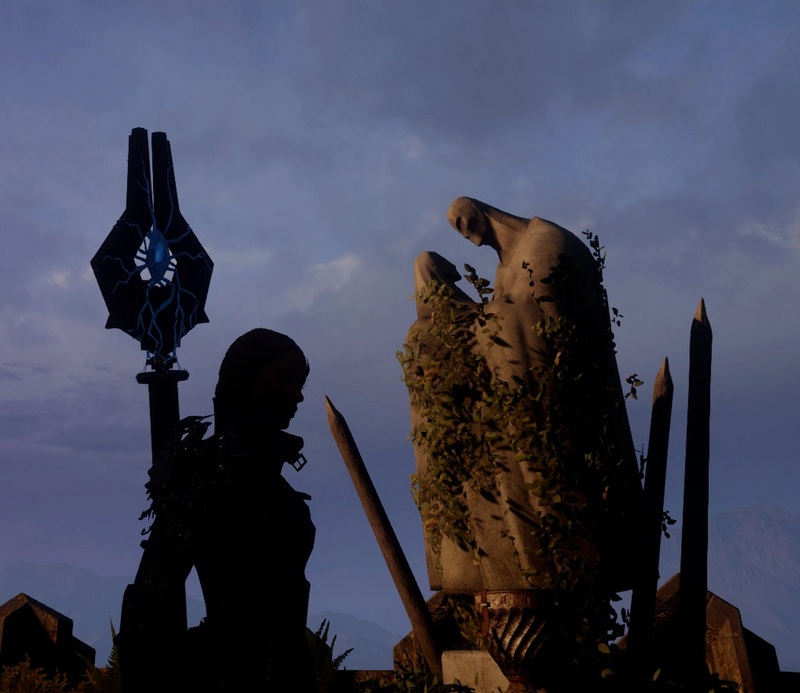 Not only because of Solas but the DLC itself is really, really beautiful. I could run around for hours just because the lighting is so warm and lovely. They really made the most of the area which I expected to be more like the Emprise du Lion. The story so far is relatively quickly told: find out what happened to Inquisitor Ameridan, the first Inquisitor, wo disappeared 800 years ago. It really more or less is an archeological “quest” which is also why it makes more sense ingame to play it after defeating Corypheus as the given reason for diverting time to do this (“He really was a great demon hunter!”) is rather… well… not that convincing. But anyways. The things the Inquisiton have found out are more or less that he was here and *something* happened. The codices one finds indicate a hidden love story with a mage but that’s about it. The setting is in an Avvar-controlled area. There are two factions: The Jawks of Hakkon, which are less than friendly and attack on sight, and the Stone-Bear Hold, which are friendly and willing to work with you if you prove yourself to them. 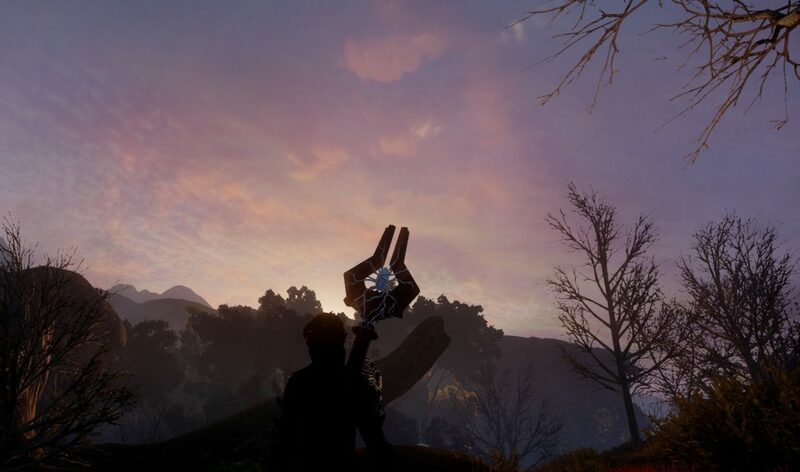 The lore about the Avvar is amazing and beautiful and adds a lot to this fascinating people: they are humorous and confident and have the most interesting approach to spirits and mages. They work closely with spirits and what would be a demon in another setting is here a friendly ally. 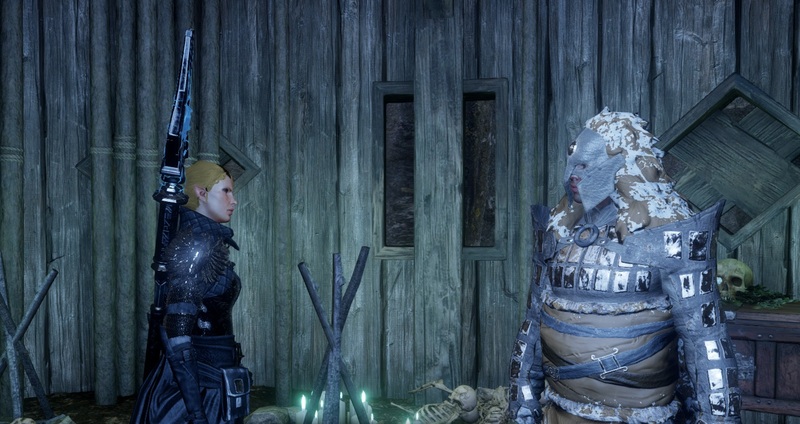 There is a lot of lore and story strewn everywhere – from the Tevinter ruins to the story of the Jaws of Hakkon themselves who called down their own God and… well… fucked it up. I’m not halfway through the story (I think) so there’s a lot I don’t know yet but I’m really eager to continue. There are also some little side quests I really like – for instance the It Remains to be Seen quest where you search the area for five magical artifacts that are hung into the trees. It reminds me of the little quests from Tomb Raider. Oh, and a lot of the DLC seems like foreshadowing… Did I mention I’m eager to continue?